Sermon by Fr. 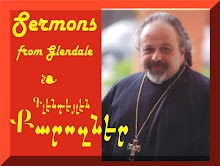 Vazken Movsesian at the Las Vegas Armenian Apostolic Church, on Sunday, January 19, 2014 during the celebration of the Holy Divine Liturgy. Themes of rebirth and resurrection. Martin Luther King Jr. weekend. Recorded LIVE.